Customized Linear Electric Actuators System for Nursing Home Beds | Venture Mfg Co. The need for nursing homes in the healthcare sector is becoming more important with the continual increase of aged residents. As the medical and healthcare is becoming more efficient, nursing homes are also expected to utilize machines and products that will allow for same treatment, and short term hospitalization. One important product in particular is the nursing home bed. The beds required need to be innovative in terms of design, usability, and features. Venture Mfg. 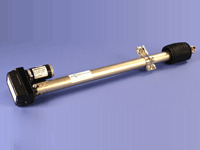 Co. supports medical device manufacturers by providing linear and electric actuators to support nursing home beds. Our linear actuators are designed to support the bed’s ergonomic design, and ensure user safety. 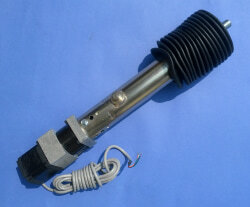 The actuators are designed to be compact, and lightweight. They are also easy to install, and ensure quiet operation. The nursing home bed actuators are designed to be robust, and not get affected by sudden movements. This makes the system failure safe. Our linear actuators can be designed in a variety of sizes, shapes, and with different materials to meet your standard or custom nursing home bed requirements.